Female Breeders, Not For Sale. Will be listing some NEW female Breeders along with the current breeders below..
1. Large Marge -She a large Crimson Red Female with German Giant genes. This will carry over to some of her babies in the clutches which will be extremely Large! Also with RED Beards. She's 100% het for Hypo and proven out het. for trans. She's 3 years, 23 inches and 875 grams here. 21.5 inches , 650 grams and growing.May have the German Giant gene that runs in her lines.She was produced here at Rainbow Bearded Dragons. 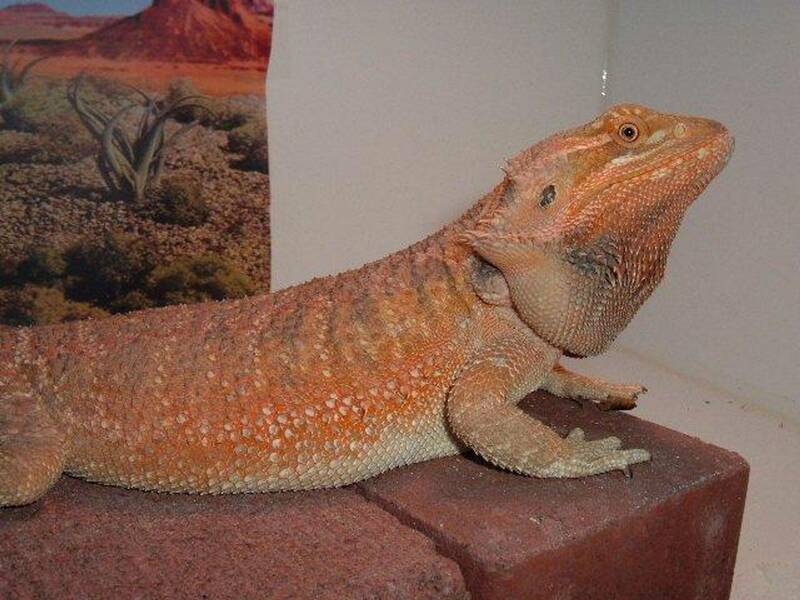 A Beautiful Red/Orange Trans Italian Leather back, 100% Het for Hypo, 19.5 inches long, 580 grams, sister to Ooh La La..
3. Skye is a Hypo Black eyed Translucent female out of Shorty x Kuda. Large girl over 550 grams.She came from a clutch with paradox siblings. 4. Pumpkin is a Red Tiger Italian Leather Back out of Lola x Jack. She is also 100% het for hypo. Sweet girl over 550 grams. They are both large hypo's ,proven het for trans.They are out of Damallie x Kuda and both are getting ready to lay eggs in pictures below. 5. Daisy May , large gorgeous Hypo female. Proven het for Trans. out of Damallie x Kuda Proven het for Trans.! Gravid in the pictures. 6. Amber, A very gravid Hypo Female. Proven het for Trans. LOl laid 36 eggs later that day. Has a lot of red, heading into shed in the pictures. 7. Orchid, A Very Large Gorgeous Hypo Yellow female 100% het for Witblit from Carolina Classic Dragons. She's 21 inches,515 grams at 1 1/2 years of age! Her parents were Liefie, the mom was from the Italian line bred by Fernando Morfogenesi.